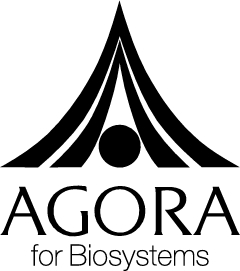 The Agora for Biosystems is intended to provide a creative environment for interaction between theorists and experimenters in the life sciences and related fields of research. This primarily includes multidisciplinary research, but also conferences, seminars, graduate courses, and summer schools in the interface of biology, medicine, physics, computer science, and theory of science. The purpose is to promote and advance the scientific knowledge and understanding of the complexity of biological systems and their interaction with the environment. A further aim is to serve as a platform for dialogues between science and the humanities. This entry was posted in Uncategorized on September 11, 2014 by agora-bio-admin.